The Flex Force X Top with D30 uses the excellent D30 protective foam which hardens on impact and remains flexible the rest of the time. This offers superior comfort while still offering high level of protection. With the D30 in the elbows back and shoulders for great protection where you need it. Demon Flew Force X D30 top features SAS-tec foam in the ribs and forearm which is a highly rated protective foam for excellent all round protection. The Flex Force X D30 tops are very comfortable thanks to the lightweight lycra blend used and the protective pads in the top are comfortable and backed with more material for more comfort. The elbow pads are positionable too with the adjustable straps plus full length zip for easy on off use. 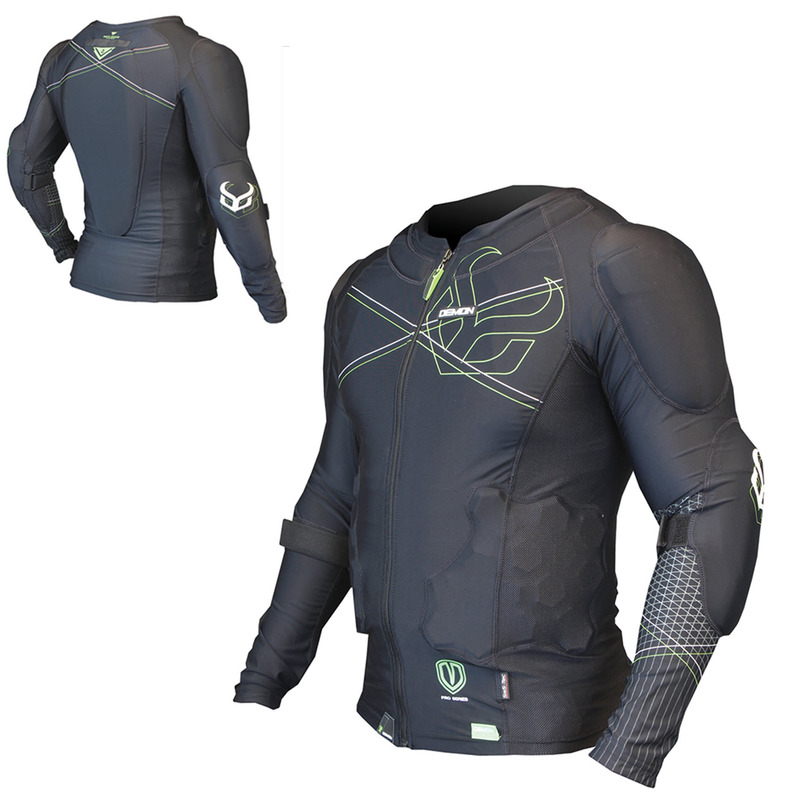 The collar bone padding extends right round into the back protection and silicone beads around the cuff to stop the sleeves riding up or slipping down. 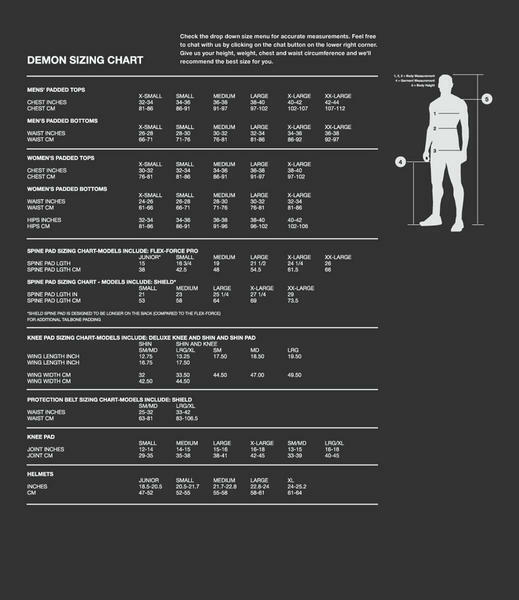 A great comfortable protective top from Demon. Multi sport, all season gear - Bike, Snow whatever you need it for!